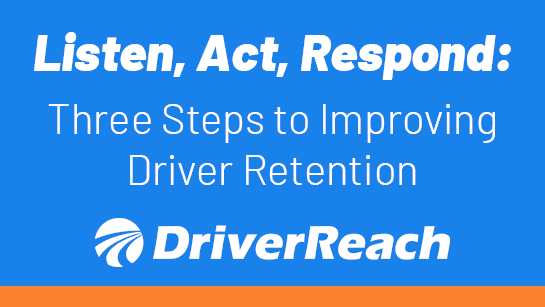 We’re all reading the same things: driver shortages, driver turnover, a fire-hot freight market, etc. 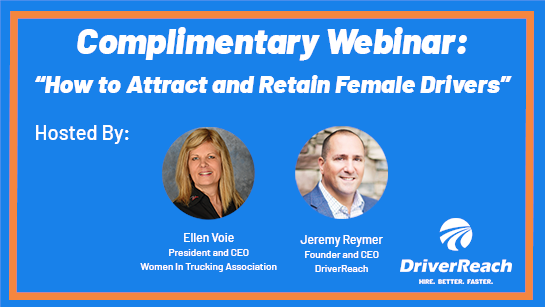 Did you have a chance to attend our special Women in Trucking (WiT) webinar last week, "How to Attract and Retain Female Drivers"? 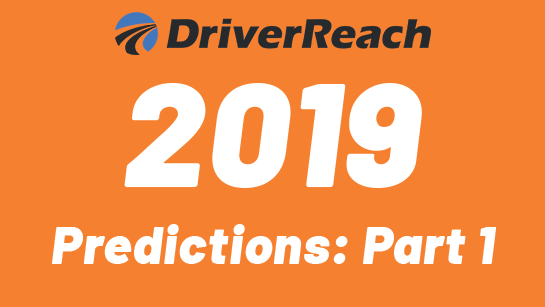 Stay up to date on industry trends and insights. 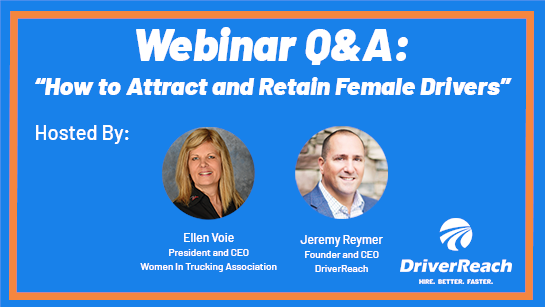 Enter your email to stay connected. 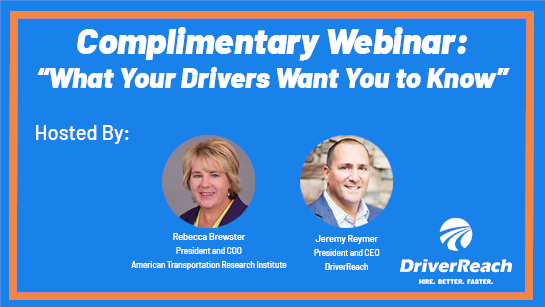 Did you have a chance to attend our special ATRI webinar last week, "What Your Drivers Want You to Know"? 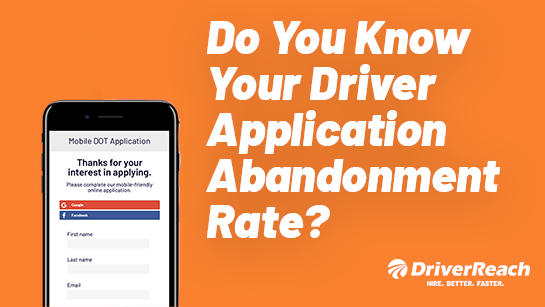 Do You Know Your Driver Application Abandonment Rate? 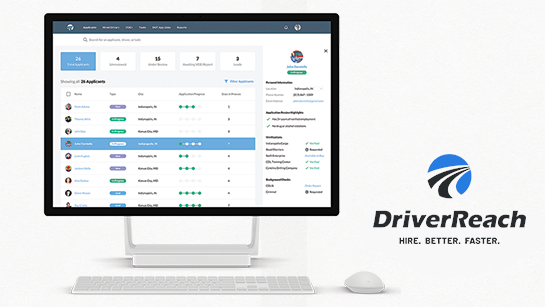 DriverReach is the Recruiting Management System that helps driver recruiters convert leads, hire faster, build relationships, and be more productive.